I love the history of the Salem Witch Trials. A native Southern Californian, when I had an internship in New England, the only weekend trip I took was to Salem. I’ve been there multiple times since I moved to Massachusetts, and find the history fascinating. 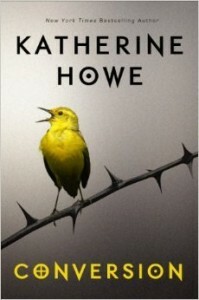 When I saw that Katherine Howe was writing a new young adult novel that had some basis in the Salem hysteria, I knew it was a must read. Sadly, it didn’t live up to my expectations. Howe tries something interesting in Conversion. She links the current phenomena of mystery illness among high school students to the hysteria in Salem in the 1690s. The current school in Danvers, MA is a hotbed of stresses: girls worrying about grades, competing with each other for class rank, hoping to get into their ideal colleges, and, of course, boys. Then, the coolest girl in school starts to twitch uncontrollably in class. This book had so much promise. 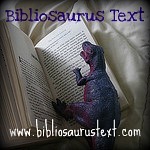 It just didn’t work for me for the reason that some other young adult books by adult novelists don’t work. Howe doesn’t write in a convincing teen voice. Her first-person narrator comes across as inauthentic and stilted. On top of that, it takes her much too long to draw certain connections that are obvious to readers from the outset. There was much face-palming while I read this book. While young adult fiction must seem like a goldmine, not all authors should attempt it. It isn’t as easy as it seems to write a good young adult novel, and Howe just doesn’t pull it off. It’s too bad. Conversion is a good idea, poorly executed. The fearless memoir of a young forensic pathologist’s rookie season as a NYC medical examiner, and the cases, hair-raising and heartbreaking and impossibly complex, that shaped her as both a physician and a mother. Just two months before the September 11 terrorist attacks, Dr. Judy Melinek began her training as a New York City forensic pathologist. With her husband T.J. and their toddler Daniel holding down the home front, Judy threw herself into the fascinating world of death investigation, performing autopsies, investigating death scenes, counseling grieving relatives. Working Stiff chronicles Judy’s two years of training, taking readers behind the police tape of some of the most harrowing deaths in the Big Apple, including a firsthand account of the events of September 11, the subsequent anthrax bio-terrorism attack, and the disastrous crash of American Airlines flight 587. 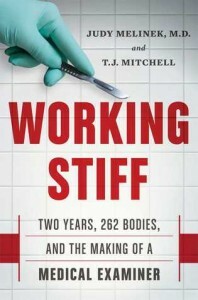 Lively, action-packed, and loaded with mordant wit, Working Stiff offers a firsthand account of daily life in one of America’s most arduous professions, and the unexpected challenges of shuttling between the domains of the living and the dead. The body never lies, and through the murders, accidents, and suicides that land on her table, Dr. Melinek lays bare the truth behind the glamorized depictions of autopsy work on shows like CSI and Law and Order to reveal the secret story of the real morgue. I think one of the things that would keep me from ever being a doctor is the thought of dissecting a corpse. I just can’t fathom being that close to a dead body, let alone cutting it open. I would keep expecting it to lurch up and go for my brains. Keeping in line with my habit of reading about the exact thing I am afraid of, I couldn’t put Working Stiff down. Dr. Melinek cuts open dead bodies for a living. Each day, she makes the Y-shaped incision into the torso, opens up the head when she needs to, breaks ribs, rummages around, and figures out why people die. Even better, she seems to genuinely enjoy her job. Dead bodies are fascinating, and she recounts the various ways that you might kick the bucket. Sometimes the body comes to her in a bucket, or in a mail container. Sometimes she has to go to the scene where the person is decomposing. I couldn’t believe some of the amazing things the body can do when it dies. For example, one body was a suicide on the subway. There was no blood in the body or on the scene because it was completely absorbed into the marrow. Melinek also describes her time on the front line as a medical examiner during 9-11. It was a very striking chapter and really showed what first responders went through. This was exactly the kind of book I like to read. The writing was engaging, the topic fascinating, and it didn’t pander or get cute with the subject matter. If you have an interest in death, forensics, true crime, or taboo topics, you’ll want to pre-order this one. Phew, it’s been a while since I’ve done one of these. Baby steps. The Shadow Man haunts penitentiary cell blocks.A chilling wind runs through the Death Tunnel.The Red Eyes Apparition lurks in abandoned hallways. Explore frightening ghost stories and true paranormal encounters at ten well-known, haunted institutions across the United States. This unique collection of investigations is filled with terrifying photos, spooky highlights from on-site tours, and historical information about each location. 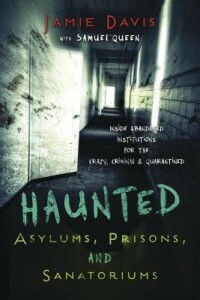 Haunted Asylums, Prisons, and Sanatoriums explores the country’s scariest institutions, including the Trans-Allegheny Lunatic Asylum, West Virginia Penitentiary, and St. Albans Sanatorium. Discover creepy conversations between the authors and restless spirits, interviews with facility staff and knowledgeable ghost hunters, and helpful tips gathered from each investigation. You’ll also enjoy an introduction to basic ghost hunting equipment and detailed information about organizing your own visits to these haunted establishments. Wow, did I expect more from this book. The thought of hearing all about haunted asylums, prisons, and sanatoriums made me internally squeal with anticipation. Those are places that are scary enough when filled with the living–who knows what kind of dead would be contained inside. I’d still like to read a book about those places, because this book really did not deliver. My main problem was the writing, which was very poor. For a book from a well-established publisher, I would have hoped that there would have been much more editing. Davis tries to express her enthusiasm for everything she has done and seen. Sadly, however, exclamation points do not equal exciting writing. The words and sentences themselves need to convey that, not a piece of punctuation. I had also hoped there would have been more of an emphasis on the history of the sites visited. The bulk of the book gives a play by play of Davis and Queen’s experiences doing ghost hunting in these places. I don’t find that sort of thing interesting on television, and I find it even more dull in writing. Page after page includes transcriptions from “flashlight sessions,” where Davis and Queen ask some spirit questions and hope that a flickering flashlight will indicate an answer. Unlike a Ouija board, there are no letters to spell out independent thoughts. It’s entirely up to the living to create a narrative and interpret the answers. In court, this kind of questioning would be called leading the witness. It might be fun for Davis and Queen, and they’re entitled to their fun, but it makes for a pretty lame book. After a while, I started just skipping these sections entirely, which made the book fly by. Possibly the only worthwhile part of this book was the section of each chapter that outlines ghost hunting parameters and costs for each of the locations. If you’re into that sort of thing, it could save you some research time. Other than that, I found very little redeeming content here. What a pity. No, I’m not dead. I’ve just been very, very busy. I’ve been working, yes. I also had my sister visit in October. 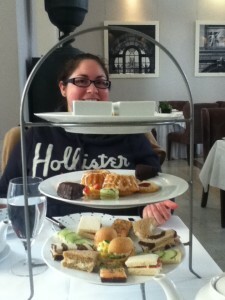 We went to the afternoon tea service at the Boston Public Library. Highly recommended! I’m still on two ALA RBMS committees, and will be going to ALA Midwinter in Philadelphia in less than three weeks. I’ve been taking Latin at Harvard Extension. While fun and not harder than I can handle, it does require HOURS of studying a week, in addition to the evening spent in class and the commute home. 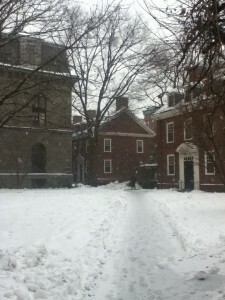 Harvard is quite beautiful in the snow. I’ve been playing a lot of music. In addition to being in multiple community bands, I’m also now on the Board of the Sharon Community Bands and am spending time on that. 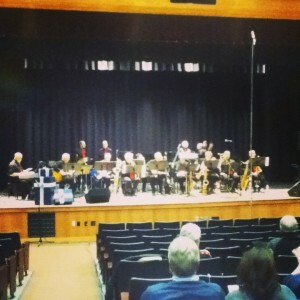 I was the producer for our last concert. All in all, it’s been a very busy few months for me. I had to really struggle to finish my Goodreads challenge of 144 books in 2013. I had to resort to listening to an audiobook at 2x speed on the final day! This isn’t meant to be excuses. Rather, please take it as explanation for my absence. I’m going to try to start writing reviews again. Now that the winter is here, I’ll be indoors more often and feeling snuggly. But who knows. I’m still going to be taking Latin this spring, so that will be quite a bit of time, and I’m planning on applying for jobs once there are more posted. I hope you’ll all be patient with me as I try to get back into this thing!